The answer to whodunit may lie beyond the veil . 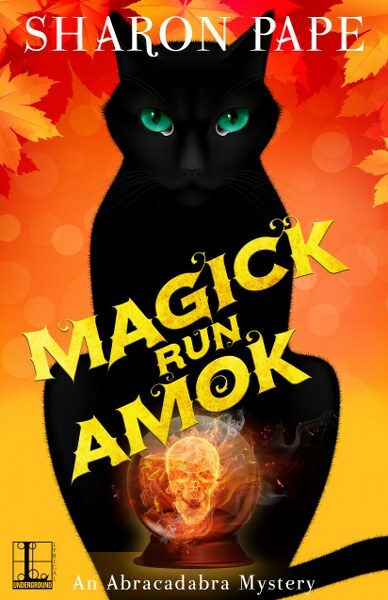 . .
November in upstate New York can be chilly, but Kailyn Wilde’s shop, Abracadabra, is a cozy respite where you can find lotions, potions, and plenty of warm, feline company. 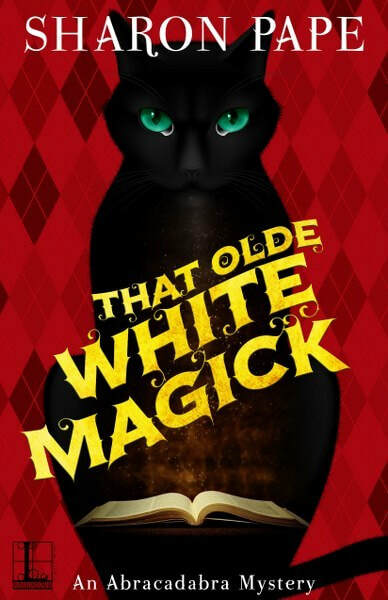 But what customers don’t know is that the proprietor has some unusual powers—and unusual friends, including the renowned magician Merlin, who’s been transported into the modern world. All of which comes in handy when there’s a murder to be solved . . . Investigative journalist Ryan Cutler has perished in a car accident in New Camel, and his friend, Travis, suspects foul play—especially when the reporter’s notes reveal a mysterious list of dead men’s names. Kailyn wants to help, but she’s also got her hands full with the curmudgeonly Merlin, who’s not exactly maintaining a low profile. 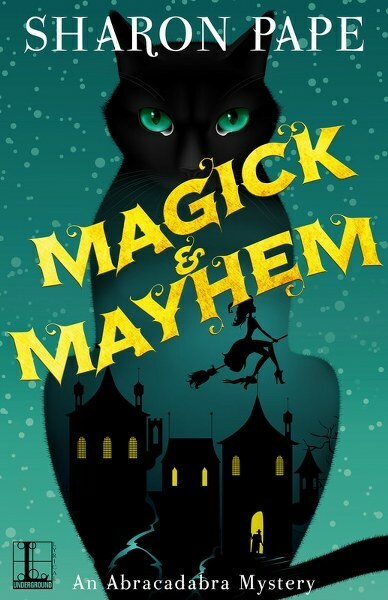 Between keeping the wizard under wraps and mixing up cold remedies that work like magic, she’ll have to tap into her many talents to figure out a killer’s fatal formula . . .
It’s time to work her crime-solving magic again . . .
Kailyn Wilde enjoys running her shop, Abracadabra, in the quaint New York hamlet of New Camel, where she lives with her six cats. Her family’s been here for centuries, and she’d like to keep up the tradition. But the place may never be the same if a big hotel gets built, so she does her civic duty and attends a town meeting along with her aunt Tilly . . . and Merlin. Yes, that Merlin—though he gets introduced to folks as her “distant English cousin.” The wizard is pretty grumpy about being transported here, but there are things about the modern world he doesn’t mind—like pizza. Kailyn was prepared for a heated debate about the hotel, but she wasn’t expecting murder. When Tilly finds the body of a board member outside the schoolhouse, Kailyn doesn’t want any suspicion cast on the wrong person. She plans to crack this case, even if she has to talk to every living soul in town—plus a few departed ones . 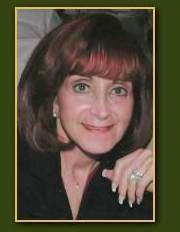 . .
Sharon Pape is the author of the popular Portrait of Crime and Crystal Shop mystery series. She started writing stories in first grade and never looked back. She studied French and Spanish literature in college and went on to teach both languages on the secondary level. After being diagnosed with and treated for breast cancer in 1992, Sharon became a Reach to Recovery peer support volunteer for the American Cancer Society. She went on to become the coordinator of the program on Long Island. She and her surgeon created a non profit organization called Lean On Me to provide peer support and information to newly diagnosed women and men. After turning her attention back to writing, she has shared her storytelling skills with thousands of fans. She lives with her husband on Long Island, New York, near her grown children. She loves reading, writing, and providing day care for her grand-dogs.